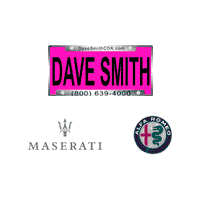 I went to Dave Smith last week and was shown several newer vehicles by Cody. I found a vehicle that I liked, but was worried about the general stereotype of pushy car salesmen. Cody was definitely the opposite of that; honest, straightforward and down to earth. The whole team including the finance manager, Rich was a pleasure to work with. They met me in my price range and I couldn’t be happier. Definitely will continue to recommend them. Had a great experience working with Austin. My Husband loves his truck and the service department did awesome with fixing what needed to be fixed. Great customer service. Helped me find the vehicle I was looking for. AJ did a great job taking care of my daughter!